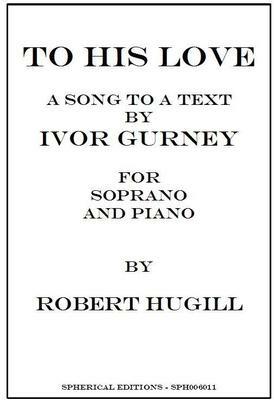 Setting of Ivor Gurney's poem To His Love, which celebrates both Gurney's love of his native countryside around the River Severn and human friendships shattered by the First World War. The song came 2nd in the English Poetry and Song Society's 2007 Ivor Gurney competition. Quietly and take no heed." What do you want to know about To His Love?